"I assure you, our dear Isabella is in safe hands." 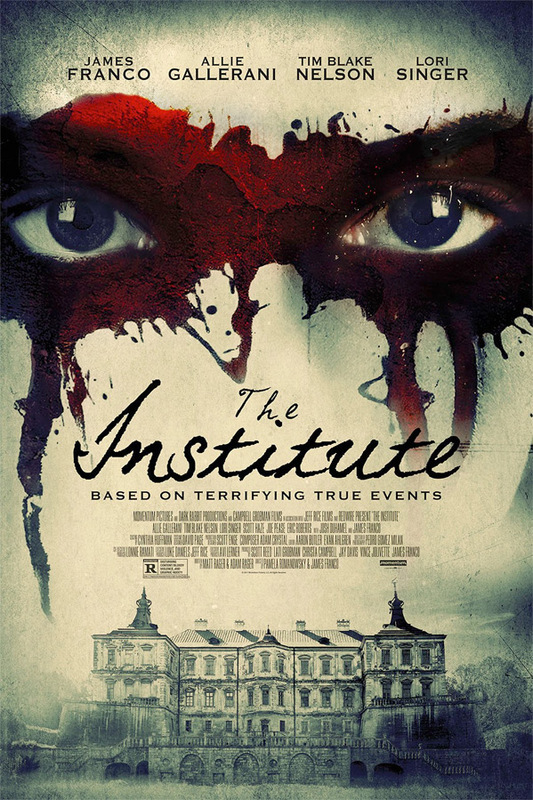 Momentum Pictures has debuted the first trailer for a thriller titled The Institute, co-directed by James Franco and Pamela Romanowsky. Franco also stars in the film as one of the doctors at the "institute". Set in the 19th century, the story is about a young girl who checks into the Rosewood Institute, only to discover their methods for curing patients are totally twisted and violent. In addition to Franco, the film stars Allie Gallerani, Lori Singer, Tim Blake Nelson, Eric Roberts, Josh Duhamel, Topher Grace, Pamela Anderson, Beth Grant, and Dominic Rains. I'm intrigued to see Franco directing a 19th century thriller, but this just looks instantly forgettable. Take a look. In 19th century Baltimore, a girl stricken with grief from her parents' untimely death, voluntarily checks herself into the Rosewood Institute, and is subjected to bizarre and increasingly violent pseudo-scientific experiments in personality modification, brainwashing and mind control, she must escape the clutches of the Rosewood and exact her revenge. The Institute is co-directed by both James Franco (My Own Private River, As I Lay Dying, Child of God, Interior Leather Bar, The Sound and the Fury, In Dubious Battle) and Pamela Romanowsky (The Adderall Diaries, The Color of Time); the screenplay is by Adam Rager and Matt Rager. The Institute opens in select theaters starting March 3rd, 2017 this winter. Who's interested? I'll just see THE CURE FOR WELLNESS. This looks like a bad made-for-tv movie. Anyone know the actual events this is based off of? And Franco is churning out movies faster than Denis Villeneuve! It looks like those people in this had extra time between two films so they made this in the meantime.